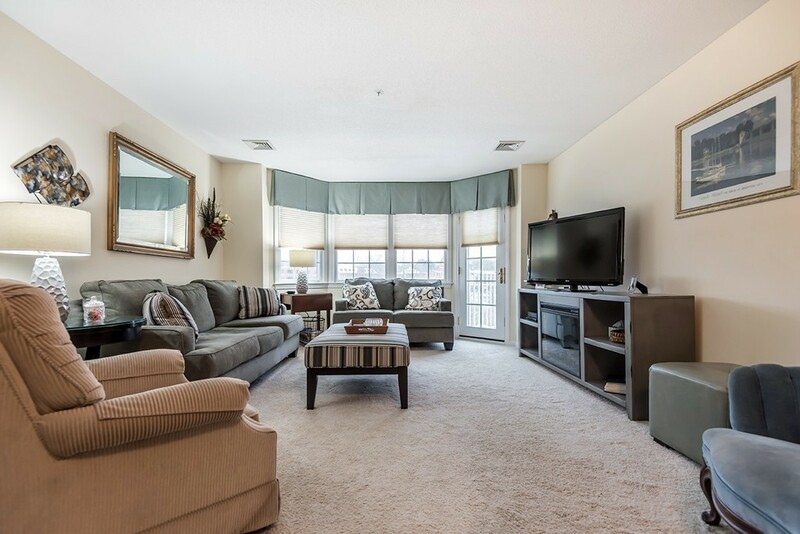 Sought after Sutton Pond Condo unit in the heart of downtown North Andover! This 2 or 3 bedroom, 2 full bath Penthouse, located in Abbott Building, faces south with loads of sunshine and pond views. Inside youll find spacious living/dining room combination with large windows and access to private balcony. The updated kitchen includes stainless steel appliances, newer cabinetry and flooring. The master suite includes double closets and French door leading to private balcony. The second bedroom is nicely sized and the office or 3rd bedroom and in-unit laundry completes this turnkey unit. Additional features include extra storage in the lower level, clubhouse with kitchen and exercise room, one car deeded /assigned parking plus visitor parking spaces. Excellent opportunity in a convenient location!